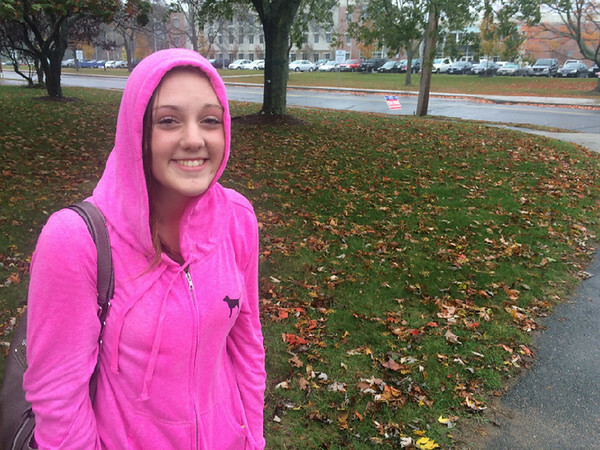 Danvers High junior Anna Johnson was one of many students at the school who wore pink Wednesday in remembrance of the death of math teacher Colleen Ritzer, on the one-year anniversary of her murder. Ethan Forman/Staff photo. 10/22/14.